Choosing the perfect furniture online for your home might be difficult. Many of our customers request therefore wood samples, so they can see and touch the material Rafa-kids uses. We used to make our samples from simple wooden blocks. After some time we realized that this creates unnecessary waste, as probably most of our customers throw away the wood samples after seeing it. It felt wrong. The material we use is an expensive 1st class birch plywood and how painful it is to throw it in the garbage bin? That’s why we decided to create wood samples as products to be used afterward. Going even further we reuse rest wood from our production to make it! Let’s think smart about waste and how to minimalize its production or reuse what we already have in a good way. 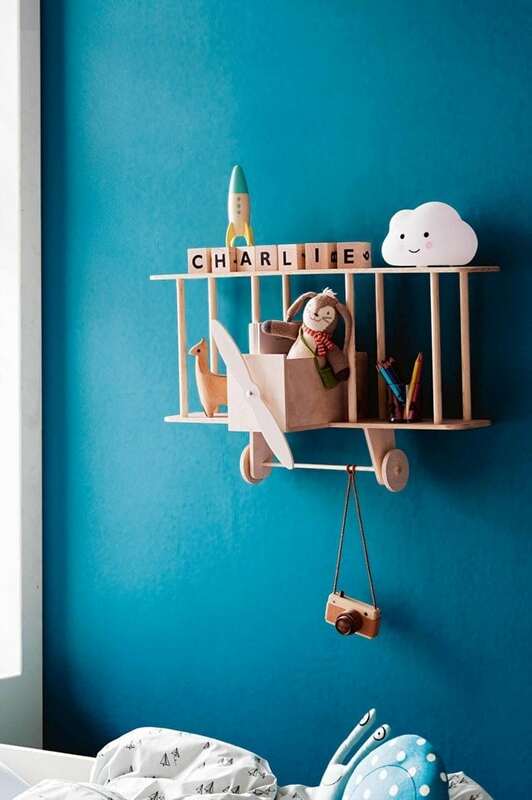 Here we are – welcome Rafa-kids wood samples stationary. 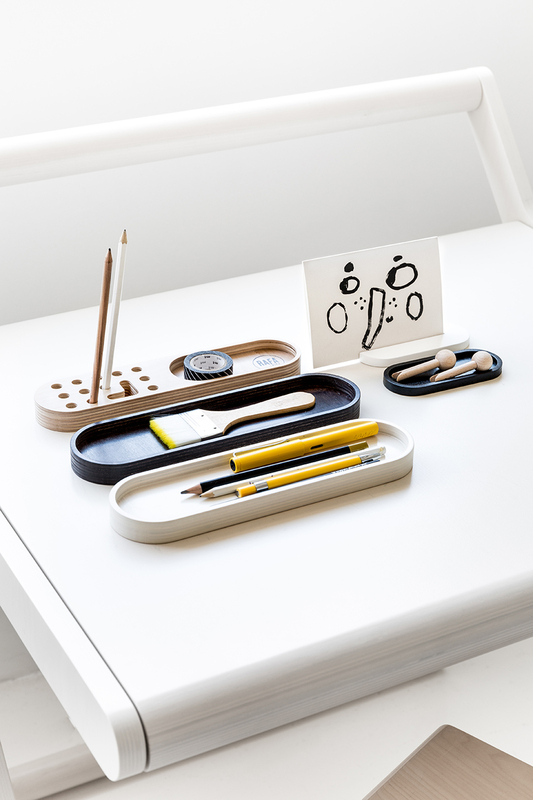 It’s a small organizer which you can put on your K desk. There will be space for all the little things which always get lost, pencils, pins or notes. 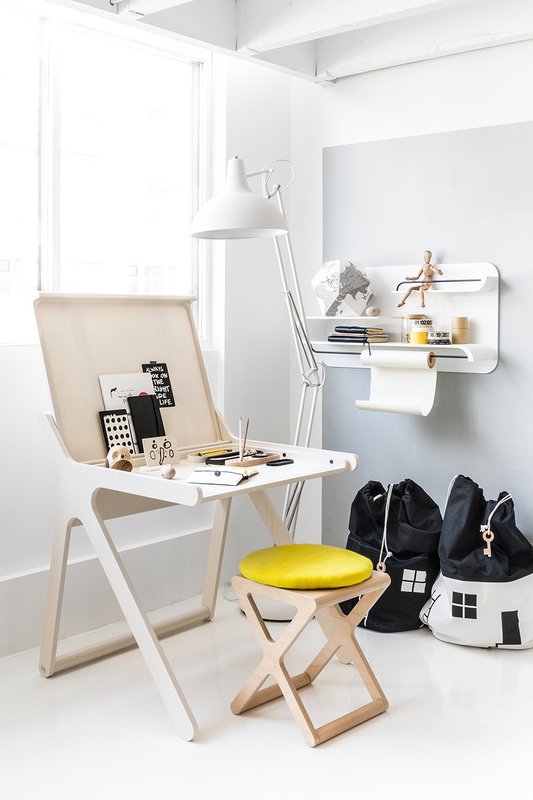 All elements are fished in the same colors as Rafa-kids furniture: natural, whitewash, white and black. ( the dark chocolate will be discontinued soon). 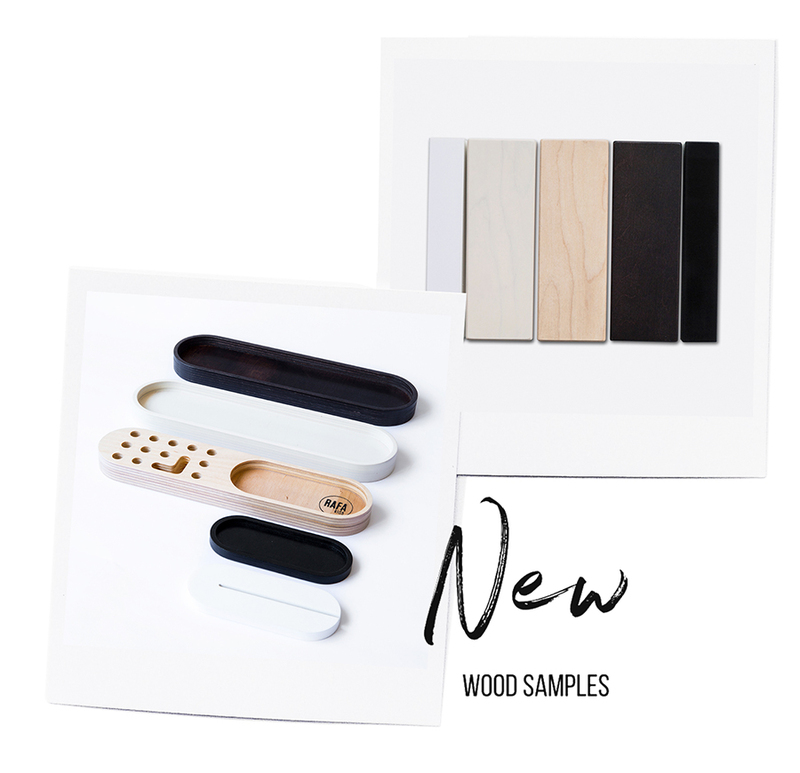 Use this wood sample to choose the right tone for your furniture and keep it for the future as an elegant desk stationary. Let’s talk more about the material we use and why we care about it so much. 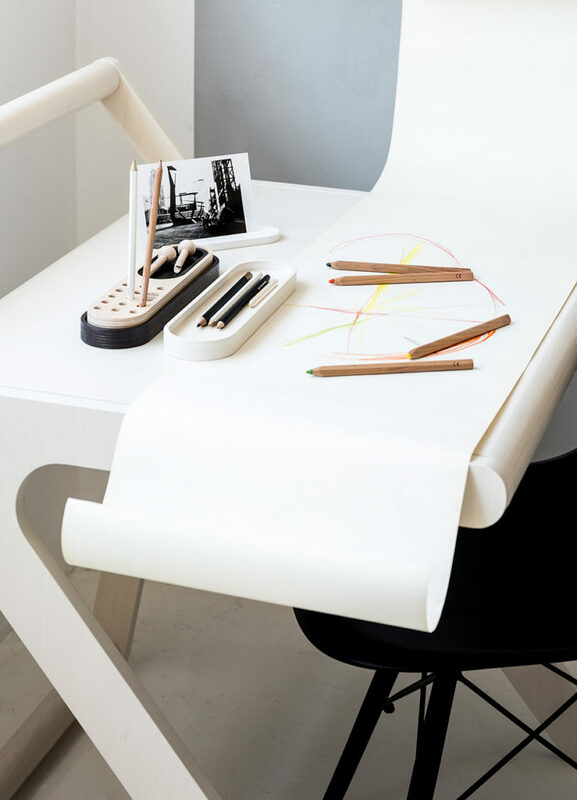 Rafa-kids makes furniture from birch plywood which grows slowly in the cold Finnish forests. 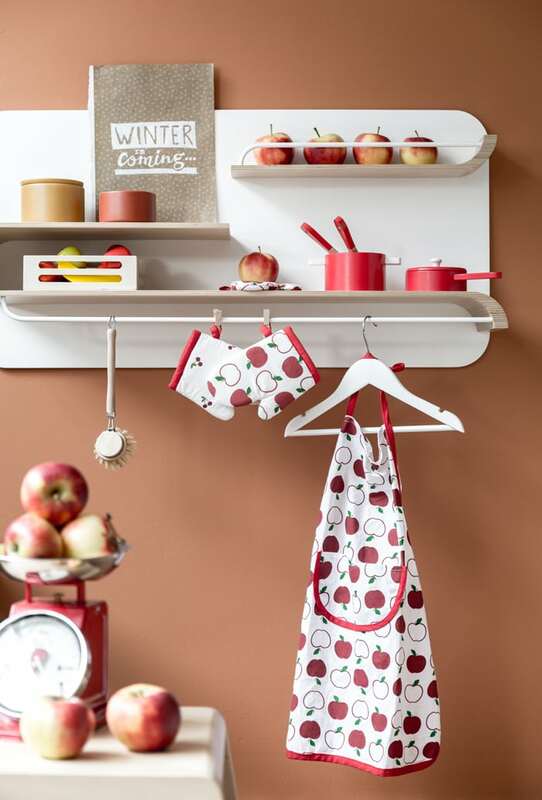 The harsh Scandinavian environment makes the material strong and durable. 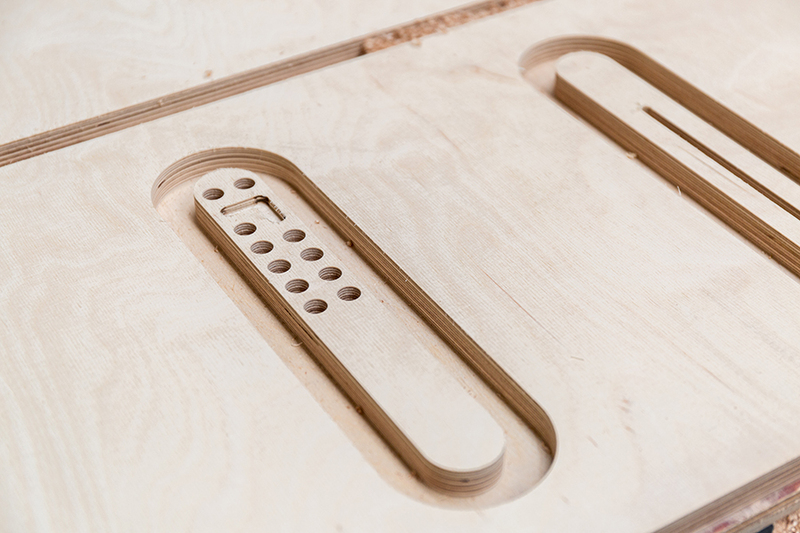 The plywood is extra 21mm thick. 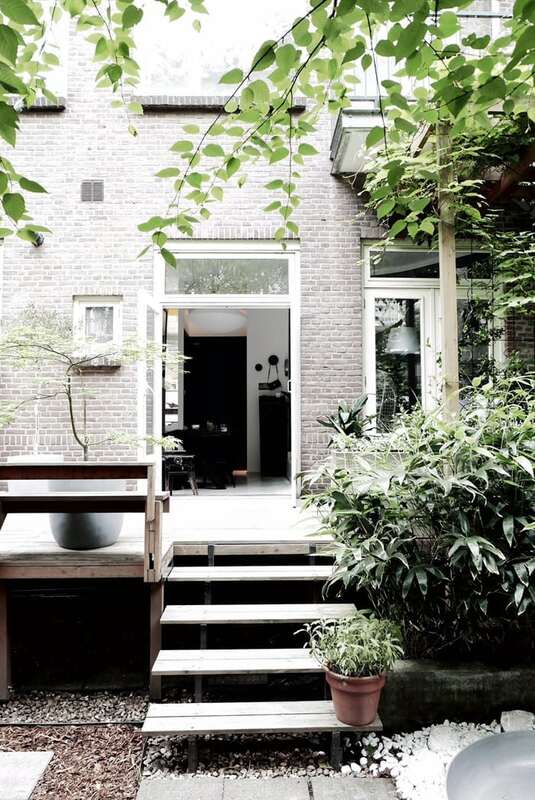 We protect it with special water lacquers to keep it in great shape for years. Hopefully, you understand now why we are so obsessed with this beautiful material. 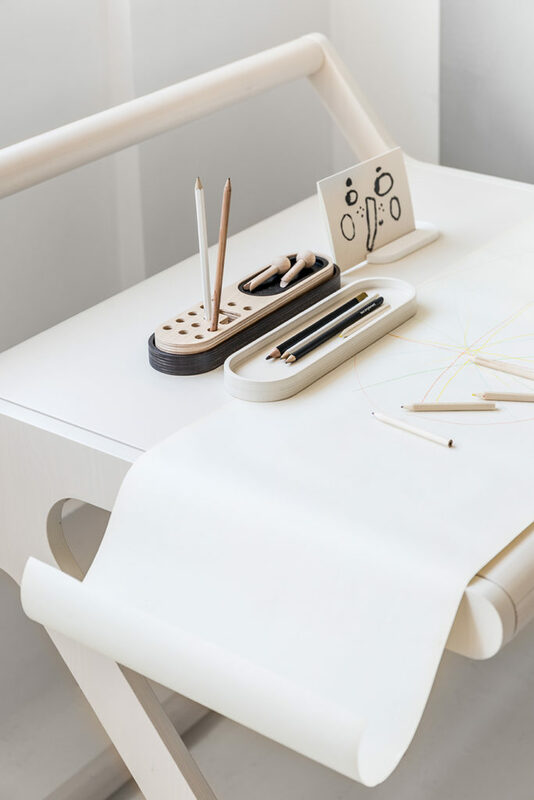 We try our best to use every bit of it, and we think that our wood sample/stationary is a smart and playful way to do that.